Removable steering wheels, conference room-styles seating in cars, see-through doors. The self-driving car race is fueling a boom in quirky, eye-popping ideas and a crush of patents are being filed by automakers, something highlighted by a super enjoyable piece in the Wall Street Journal today. What’s interesting about the WSJ piece is the sentiment expressed by traditional automakers who feel pressured by Silicon Valley autonomous tech giants to deliver ambitious concepts. A growing number of these filings seem straight out of science fiction, covering inventions intended to help people pay less attention to the road while they drive—or don’t actually drive at all. 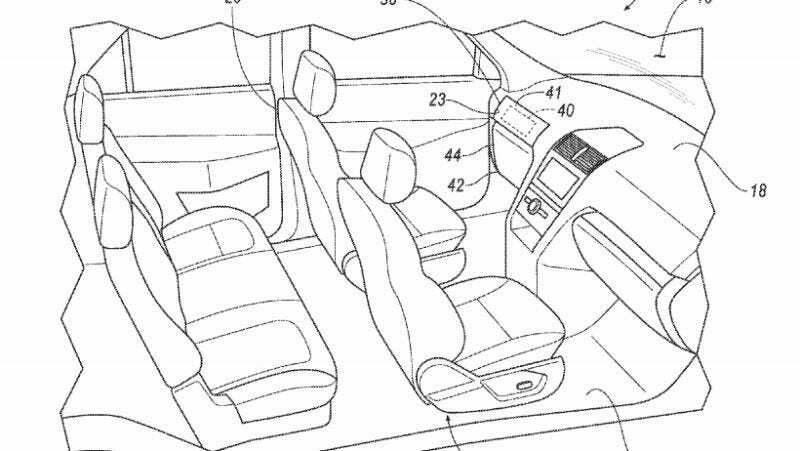 Securing a patent is a big-deal in the billion-dollar autonomous car race—as the WSJ notes, patent holders retain exclusive rights on an invention for up to 20 years after it’s granted. What’s most enjoyable, of course, is the fun images portrayed in the patents themselves. WSJ’s illustrators did a bang-up job on some of the more interesting ones, so make sure to read the piece this afternoon. And if you’re looking to develop the next big thing, here’s a free idea: I still want to see a patent for a foolproof way to make a fresh cup of coffee while driving on the road. It’d beat stale coffee that sits in a to-go mug throughout the day.